Catch Inspire is a clean, simple, and responsive WordPress theme for corporate and blogs. It has been deliberately designed to accommodate the ample requirements of an extremely vast set of different business website archetypes. 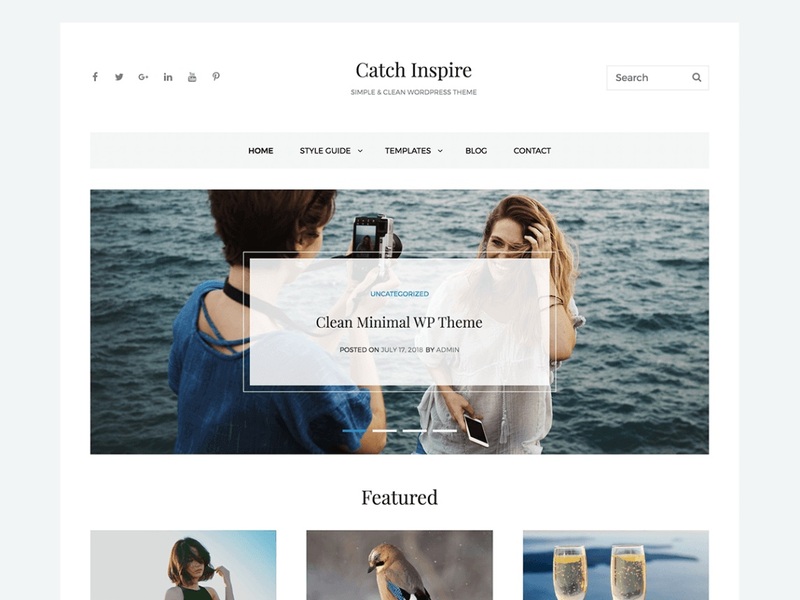 The main inspiration behind crafting Catch Inspire is one of our first releases — Catch Box WordPress theme. Catch Inspire is completely responsive and comes with features that fit for websites of any kind. The theme comes with crucial features, such as a featured slider, featured content, header media, hero content options, portfolio, service, testimonials, and more. The theme is impressive, aesthetically pleasing and guarantees a superior browsing experience for your page visitors. The theme is an innovative, simple yet feature-rich free blog and corporate WordPress theme that provides a flexible framework for any type of business websites with a clean outlook.